Featured Product | International Wood Products, LLC. IWP is pleased to announce we are now stocking LP SmartSide Lap Siding and Trim in a beautiful smooth finish. LP SmartSide is durable and beautiful, and with a new smooth option you can now meet any design specification with the peace of mind that LP Building Solutions 5/50 warranty offers. 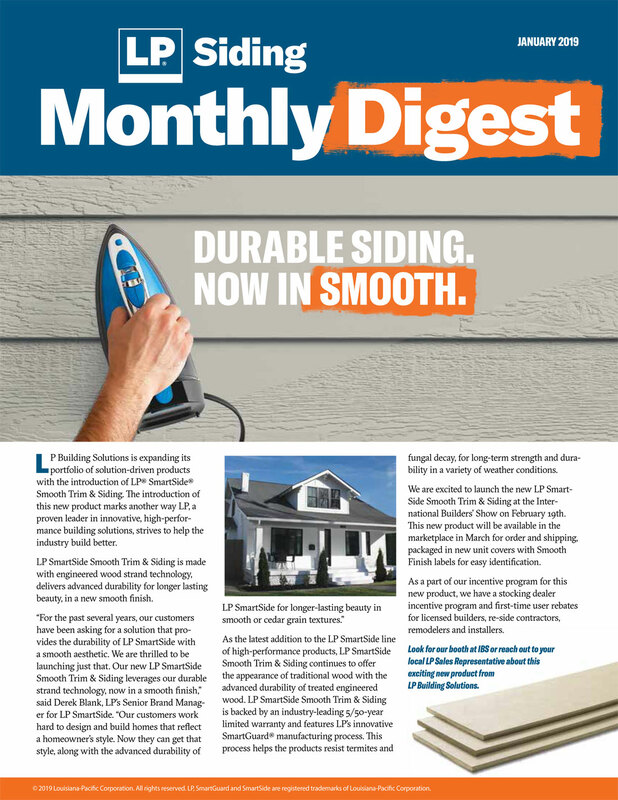 Ask your local dealer about LP SmartSide Smooth family of products, or contact us today for more information.